Lucas Sherwin | Green Space Alliance | Urban designers | Planners | Landscape Architects. Lucas is a recent graduate of the University of Alberta’s Regional and Urban Planning program. 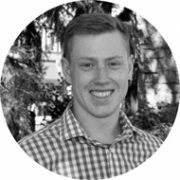 From 2014 to 2016, Lucas worked as a co-op intern with the City of Edmonton on the implementation of the city’s Downtown Plan where he helped allocate and manage capital funding related to the Downtown Community Revitalization Levy. In that position, Lucas organized public engagement sessions with diverse stakeholders, developed funding agreements with private developers and collaborated on research on high density developments in Edmonton. More recently, Lucas worked for Dr. Sandeep Agrawal, director of the University’s Planning program, on academic research related to the intersection of planning policy, land use and human rights in Canada. As part of his final planning studio, he worked on behalf of the Capital Region Board to identify the degree of policy alignment between 24 neighbouring municipalities around Edmonton. In addition to his planning experience Lucas also brings a background in environmental sciences, with a focus on ecology, hydrology and earth sciences. This is complemented by his technical experience with GIS, document design and qualitative research methods. Since joining GSA, Lucas has begun working on projects including the Town of Two Hills Intermunicipal Development Plan and the City of Edmonton’s Infill 2.0 public consultation. Lucas holds a BSc. Specialization in Planning, Science Internship Program from the University of Alberta.